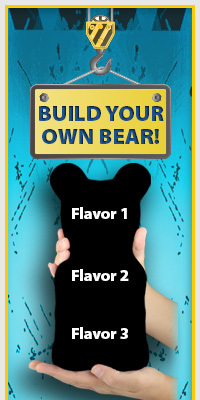 The one and only ORIGINAL World’s Largest Gummy Bear!™ is a whopping 51 servings of mouthwatering sweetness. At over 1,000 times the size of an average gummy bear, The World’s Largest Gummy Bear!™ takes gummy deliciousness to a whole new level! This made in the USA treat is 9.5” x 5.5” and approximately 5 pounds.